StartUp Creative (we, us, our) recognises and values the protection of your personal information. This policy applies only to information that StartUp Creative collects via this Website. to assist StartUp Creative with our auditing, marketing, planning, billing, product development and research requirements. In some cases, we will refuse to give you access to personal information we hold about you. This includes, but is not limited to, circumstances where denying access is required or authorised by or under an Australian law or a court/tribunal order or where giving you access would: be unlawful; have an unreasonable impact on other people’s privacy; prejudice an investigation of unlawful activity; reveal our intentions in relation to negotiations with you so as to prejudice those negotiations; prejudice enforcement related activities conducted by, or on behalf of, an enforcement body; reveal evaluative information generated within the StartUp Creative organisation in connection with a commercially sensitive decision-making process. We will also refuse access where the personal information relates to existing or anticipated legal proceedings, and the information would not be accessible by the process of discovery in those proceedings. Further, we will refuse access where your request is frivolous or vexatious, and where we reasonably believe that: giving access would pose a serious threat to the life, health or safety of any individual, or to public health or public safety; unlawful activity, or misconduct of a serious nature, is being or may be engaged in against StartUp Creative and giving access would be likely to prejudice the taking of appropriate action in relation to that matter. If you have concerns about how we handle your personal information, it is important that you notify us as soon as possible, so that we can address your concerns appropriately as the circumstances require. Any concern or complaint should be made in writing. Please send it to our Privacy Officer at hello@startupcreative.com.au, or PO Box 159, Bondi Junction NSW 1355. We will respond as soon as reasonably possible. Alternatively you may contact the Office of the Australian Information Commissioner with your concern. Information about lodging a complaint is available on the Office of the Australian Information Commissioner’s website (see in particular: http://www.oaic.gov.au/privacy/privacy-complaints). 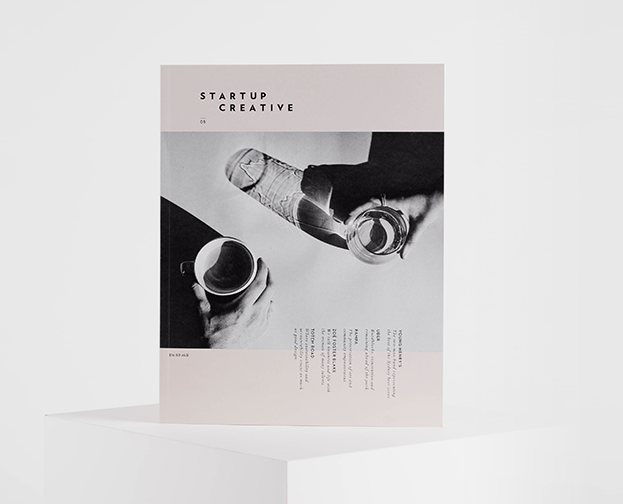 To unsubscribe from our e-mail database, please send us an e-mail to hello@startupcreative.com.au with “UNSUBSCRIBE” typed into the subject line of the e-mail.